Whether you've been blogging for a while, or just started you've probably realized that having nice images and/or graphics for your posts is just as important as the words your writer. An unattractive image/graphic can turn readers away from an otherwise great post. It can also keep your post from being shared on social media. The good news is you don't have to be a professional graphic designer to create nice images/graphics for your blog. All you need is a computer, smartphone or tablet. And my favorite graphic design companion - Canva. 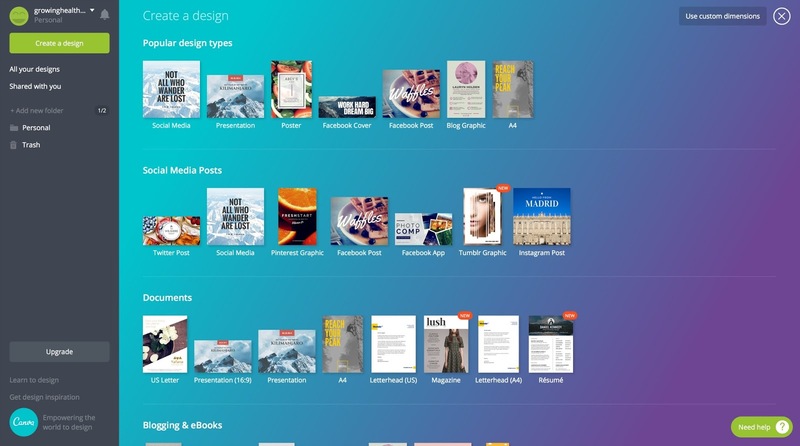 Canva is a free graphic design tool you can access via the Canva app or site. Canva is great for the graphic designed challenged (like me) because it has free and paid templates you can use to create your graphics. When I first started using Canva I looked at some of the templates to get ideas and then I used those ideas to create my own. 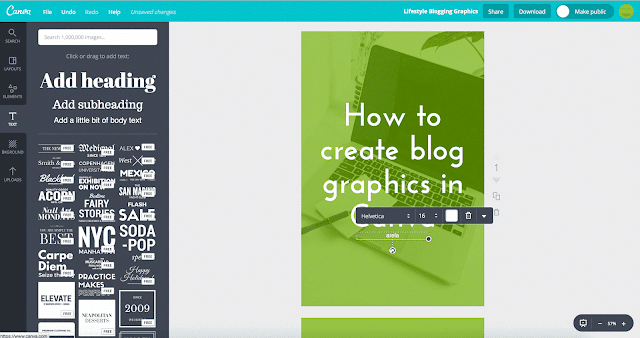 So in this tutorial, I'll be showing how to create your own blog graphic from scratch. Go to Canva.com sign-in if you have an account or register by completing the registration form if you don't. After logging in you'll see a menu at the top prompting you to select your template or graphic dimensions. One of my favorite things about Canva is the multitude of dimensions available. You can create horizontal, vertical or square graphics of all sizes. Because I share and want others to share my posts on Pinterest, I create at least one pinnable graphic for my posts. The easiest way to do this is to select the Pinterest graphic template. To create a background for your graphic you can either upload your own image or select one of the free ones Canva offers. For most of my graphics, I upload my own image that I've edited using an editing app. 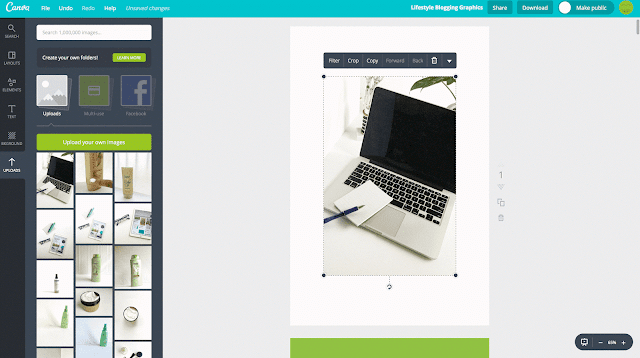 After selecting your image, resize it till it covers the whole template. Tip: If you use your own image it's best to upload a high-resolution image so when you resize or crop it the image doesn't pixelate and get blurry. To do this go to Elements > Shapes and select the shape you want to use for your overlay. For my graphic overlay, I use the square shape. 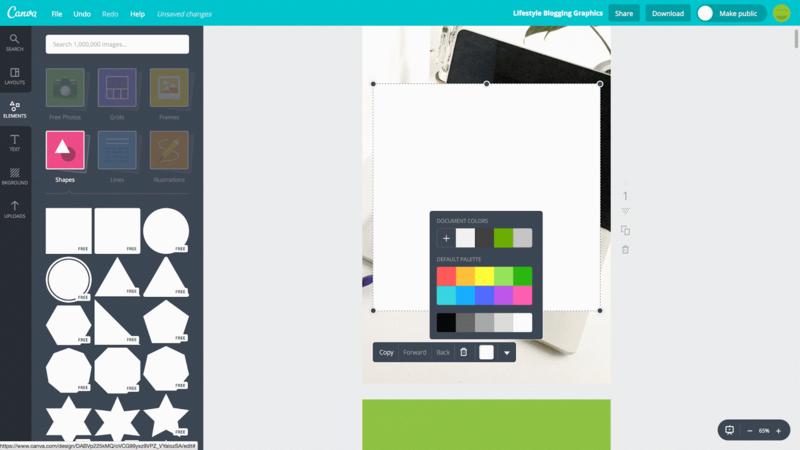 One of the great things about Canva is you can customize many elements to your own liking. For example, when creating a graphic overlay you can cover the whole image with the shape or just some of the image. You can also choose the color you want your overlay to be and the amount of transparency. When it comes to text colors I enter the hex code for the colors that correspond to my blog branding. After creating your overlay you can place text on the image. You can create multiple text boxes and select from the many free fonts available. Adjust the size of your text to be as big or small as you want. You can center, left or right align the font so the text works best with your background. Tip: If you have an upgraded, paid account you can upload your own fonts. Once done creating your graphic it's time to download it by clicking the Download button in the top right. I usually have multiple pages of related graphics so I enter the page number of the graphic(s) I want to download and download it as a jpg. Once downloaded I optimize the image before adding it to my blog by uploading it to and downloading it from tinypng.com. By optimizing the image it won't be so big that it causes the page to load slowly. Upload the image to your blog and determine where in the post you want the graphic to be. That's it. Really simple. 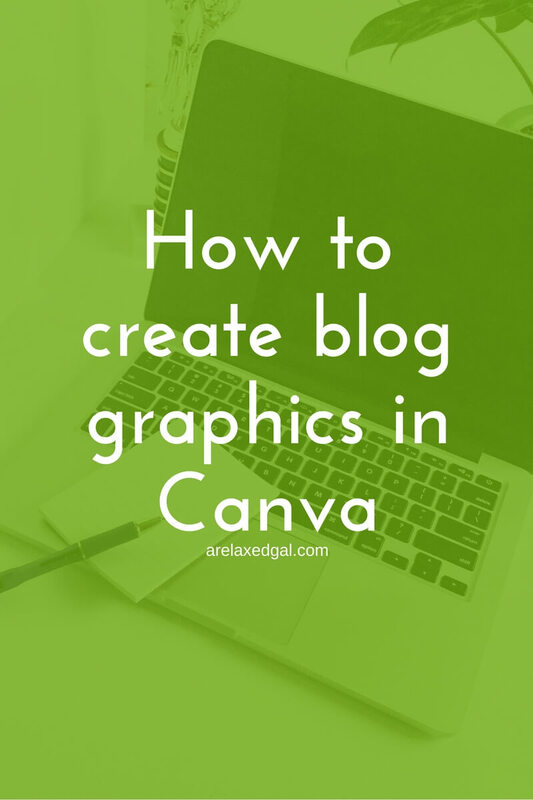 The more you use Canva the more intuitive it becomes and the faster you can create graphics. What do you use to create your blog graphics?